I am pretty open about my love for coffee, but I don’t drink coffee all day long. After my morning coffee, I switch to tea. So when I was introduced to Pique Tea Crystals, I got pretty excited. The thought of my tea being crystals in a pack instead of a tea bag really intrigued me and peaked my interest. 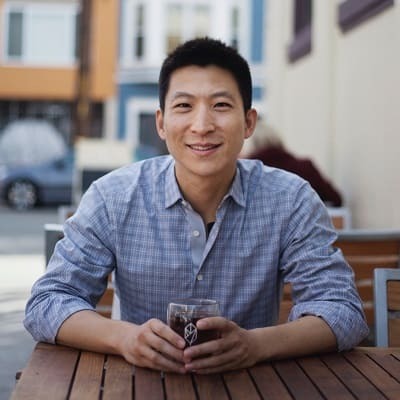 Before we talk about this wonderful product……let’s meet Simon Cheng, the creator, founder, innovator of Pique Tea…. 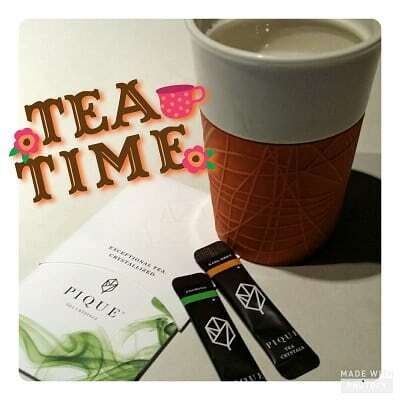 Pique Tea was founded by Simon Cheng, a tea loving entrepreneur, with deep appreciation for ancient health traditions and the passion to innovate. Drinking tea was a fundamental part of Simon’s daily life and health regimen when he was growing up in Hong Kong. During Simon’s travels to tea producing regions, he discovered a 1,300 year old tradition called Cha Gao, lost to all but Himalayan villages and ancient records. Cha Gao was used to extract the powerful medical properties of tea into a dissolvable tea paste. So inspired by the incredible health benefits of Cha Gao, Simon spent years in collaboration with leading tea farmers and tea masters to integrate ancient tradition with modern science and create Pique Tea Crystals. I really enjoy reading and finding out more about a product’s creator as I have found, that the passion you discover in the founder, speaks to the quality and passion found within the product. In my books, Simon has developed an amazing tea product with Pique Tea Crystals. The packaging for Pique Tea Crystals makes it absolutely convenient for bringing your tea on the go. It is a superior method of on the go tea as compared to a tea bag. You do not even need a spoon to stir your tea with Pique Tea Crystals. Once you put the hot water in your cup, the crystals just dissolve and your tea is ready. Yes, I mean ready to drink. No waiting for it to be steeped long enough. In a world that demands everything be instant, you cannot get more instantaneous than Pique Tea Crystals. My one tip for Pique Tea Crystals is to have the crystals in your cup first, and then pour in your hot water. It makes it perfect this way and leaves no crystals or residue at all. Amazing. Love it. Okay so what about quality. Can a crystallized tea be tasty. Well yes, because Pique Tea has ensured that they have taken all the great parts of the tea leaves and ensured they made it into the crystals. 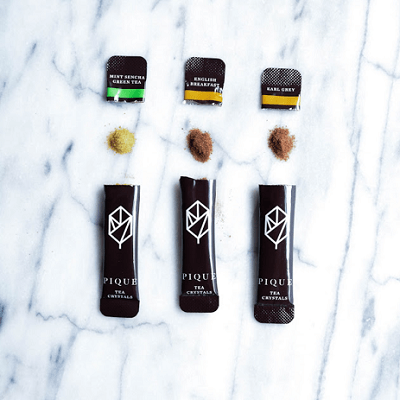 Pique Tea Crystals are the intersection of modern science and ancient tradition—a proprietary process that slow brews and extracts the fresh flavor and nutrients of whole leaf tea at optimal levels and locks it in a crystal form. Pique Tea also sources our the top 5% of tea leaves in the world to use in their Pique Tea Crystals. Additionally, through the crystallization method, they lock in the flavor and antioxidants into the crystals. So there is no loss on the benefits that comes with drinking tea through the crystallization process. Our proprietary process extracts the antioxidants and fresh flavor of whole leaf tea at optimal levels, resulting in 2X the antioxidants of tea bags and more nutritionally dense than matcha. Right now, here are the types of Pique Tea Crystals that you can order…. Flavor description: Superior Assam and Ceylon black tea with notes of molasses and malt. Earthy and smooth. Flavor description: The quintessential Japanese green tea. Fresh and clear with hints of spring. Mild and aromatic. Flavor description: The perfect pairing of Japanese green tea with fresh spearmint. Vibrant and refreshing. Flavor description: Spring harvested green tea infused with fresh Summer Jasmine blooms. A perfect harmony of delicate flavors. Smooth and fragrant. You can also order a variety pack of the Pique Tea Crystals. Pique Tea Crystals has a monthly subscription plan and it can cost less than $10 a month. WOW. I love that. Shipping is free for Pique Tea Subscriptions. Right now Pique Tea Crystals are only available in the US. That is sad news on my end as I would buy this product if it shipped to Canada. I would love to see Pique Tea Crystals available in our local all natural store called Pomme Natural Market. I would also love to see a Licorice Spice Pique Tea Crystal. This is my absolute favorite tea to drink all day long after Jasmine tea. What tea type is your favorite?